Sunshine Changing to Showers?…And How Hail Measures a Thunderstorm. For the most part, the weather will continue to be unseasonably warm and should start the week on a sunny note. But a weak low pressure center cut off from the main flow will very slowly come up from the south, and by the time we get to the latter part of the work week, a slight chance of afternoon showers or thundershowers comes back into the forecast. Temperatures will stay in the upper-to-mid 80s through Friday before falling back to a more seasonable (lower-70s) range by the end of the weekend. We’ve been talking about how hail is formed. 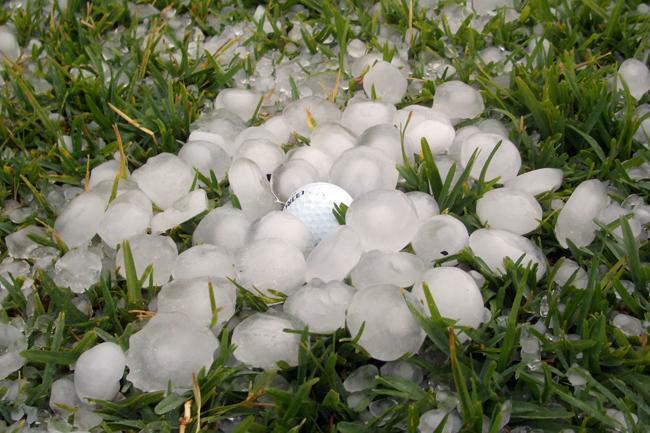 Did you know you can tell a lot about the strength of a thunderstorm by looking at its hailstones? If you think about it, it makes sense. Since a hailstone grows each time it cycles between the top (freezing with supercooled water droplets) and bottom (liquid) part of a thunderhead, the size of the stone will ultimately be determined by how long it can stay aloft. And the time required to stay aloft will be determined by how strong the updrafts are. And the strength of a thunderstorm is essentially tied to the strength of its updrafts. Even for the smallest hailstones to form, updrafts on the order of 30 mph are required. For a golf ball sized stone, you need nearly 60 mph. 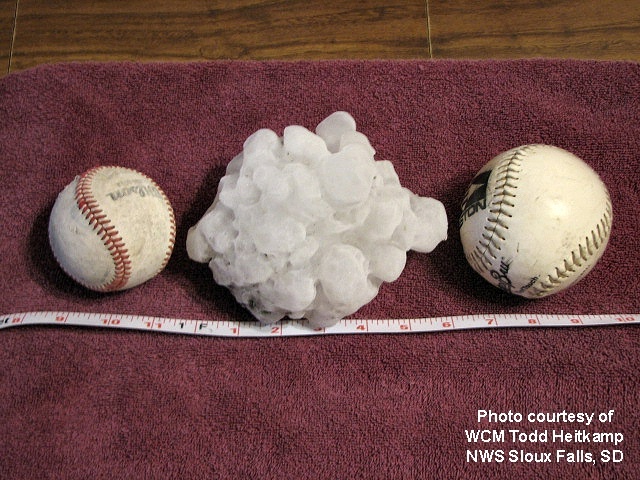 And softball hailstones need 100 mph updrafts! That’s about the speed they are traveling when they hit your car top on the way back down.